Details: Join EPP on a tour of Zeppelin Station and The Source Hotel + Market Hall followed up by social hour with fellow emerging planners. Led by founder of The Source + Zeppelin Station, Kyle Zeppelin, we will begin by meeting at The Source Hotel where we will learn about the development of this unique market hall and hotel space. We will then walk (~5min) to Zeppelin Station where we will get a behind-the-scenes tour of this transit-themed market and food hall. After, we will gather for snacks and drinks at Big Trouble in Zeppelin Station. The entire tour should take about 1hr and feel free to stay for social hour as long as you’re available. 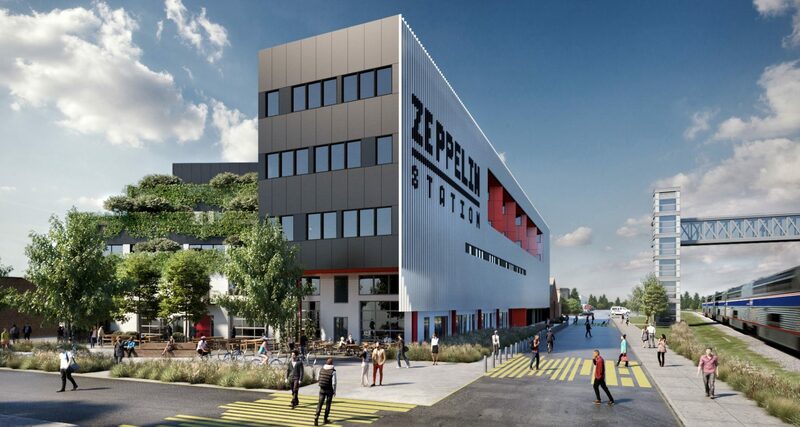 We will also raffle off a couple Zeppelin Station gift cards for attendees who hang out after the tour.